Drago Jager van de Ziel "Hunter of Souls"
Los Angeles FBI Evidence Response Team resource with successful deployments throughout the Western US, Mexico, and Saudi Arabia. • Live find certification from CA P.O.S.T. 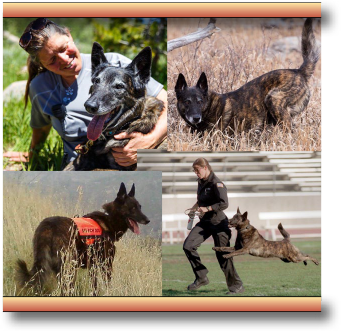 His contributions include siring Kikki's litter which produced two patrol K9s, two security K9s, and three SAR K9s including his son, and our mission ready team member, Rekker. 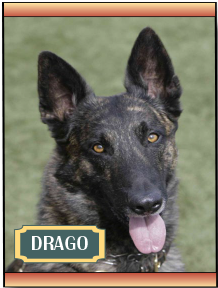 Drago was a strong and loving companion and working partner. He was truly one of a kind, is dearly missed, and lives on forever in our hearts. • Los Angeles FBI Evidence Response Team resource with successful deployments in California, Idaho, and Utah with recoveries. 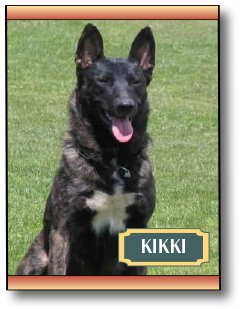 Kikki also made an invaluable contribution as a wonderful mother of two patrol K9s, two security K9s, and 3 SAR K9s including her son, and our mission ready team member, Rekker. 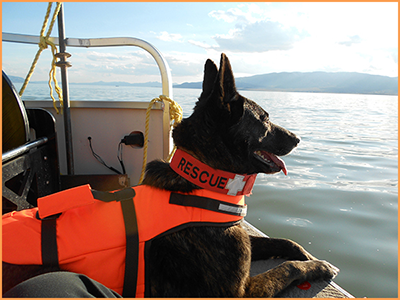 She lives on in our hearts and through the example she set for our team SAR dogs that follow in her footsteps. Rest easy sweet girl. Great Basin said "Goodbye" to one of our founding members today. 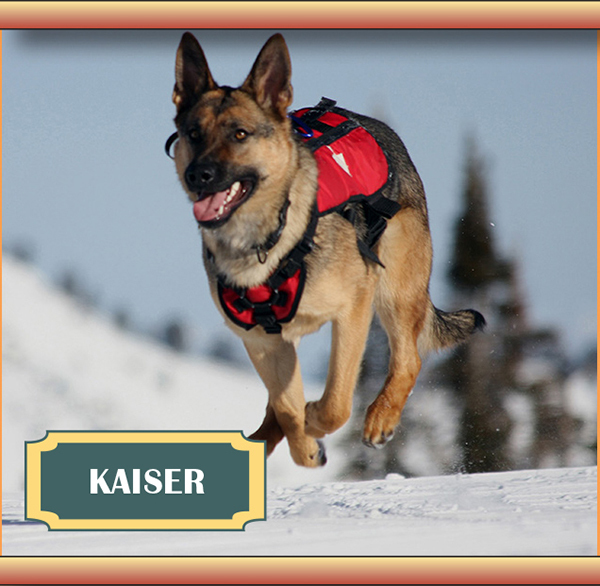 Kaiser was the standard bearer and one we all looked up to. He was a great search dog with certifications in avalanche, wilderness area, land cadaver, shoreline, open water, human remains recovery, evidence, and building search. He was a strong, powerful dog but also a kind and gentle friend. His passing came much too soon. He will be greatly missed for a very long time. We hope he is running free and strong and that he has found someone to throw his toy for him until Kurt and the rest of us get there to do it as we always did. 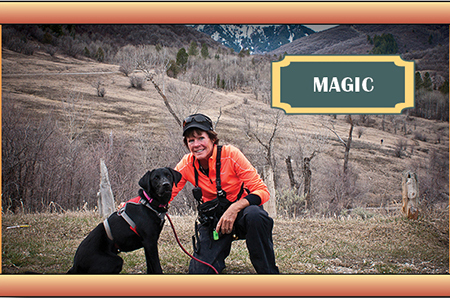 Our sweet Magic, an 8 month old Labrador Retriever, was well on her way to becoming a stellar SAR K9. She had all the drive and enthusiasm that anyone could ask for. She embodied everything we look for in a SAR dog. Sadly, we lost her all too soon. She lives on in our hearts and the experience learned in training her is being passed along to her successor.